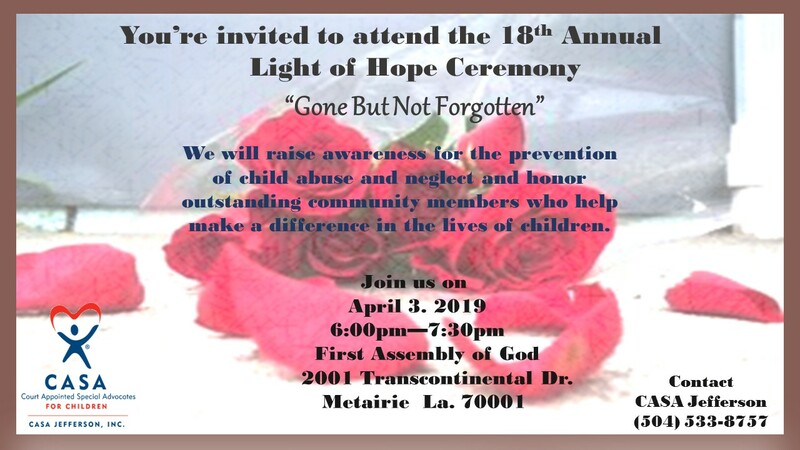 The 2019 Light of Hope ceremony will be held on Wednesday April 3rd, 2019 at First Assembly of God Church in Metairie (located at 2001 Transcontinental Ave) from 6:00 pm to 7:00 pm. All community member are welcomed to attend – families and friends. During the event we plan to remember the live of the children who have lost their lives in 2018 due to identifiable abuse and or neglect in the State of Louisiana. Special Guest speaker – former Jefferson Parish President, Mr. John Young. Together we can build strong, nurturing communities. Together we can inspire Hope in children. 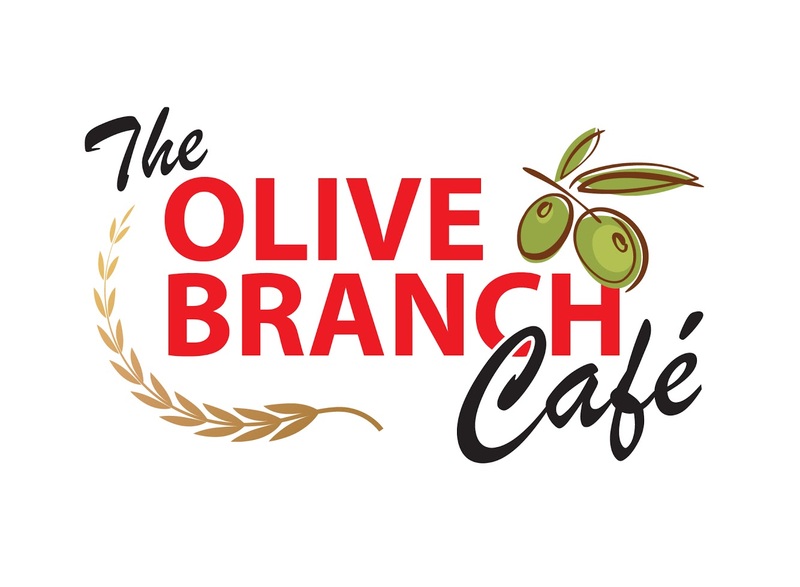 Special Thanks to Olive Branch – Marrero and Algiers locations for donation of food. For more information, please contact Margaret Ether at (504) 533-8757.